Linagliptin: What Is It and How Is It Used? Manufacturer Eli Lilly and Boehringer Ingelheim Pharmaceuticals, Inc. Type 2 diabetes drugs Tradjenta and Jentadueto help lower blood sugar by stimulating the production of the hormone insulin. But both have been linked to an increased risk of pancreatitis and possibly pancreatic cancer. Tradjenta and Jentadueto are two drugs used separately in the treatment of Type 2 diabetes, along with diet and exercise. Both medicines are manufactured by Eli Lilly and Boehringer Ingelheim, and they belong to a class of drugs called incretin mimetics. The diabetes medications both contain the active ingredient linagliptin (Jentadueto also contains metformin), which belongs to the dipeptidyl peptidase-4 (DPP-4) inhibitor class of drugs. DPP-4 is a naturally occurring enzyme in the body that removes a hormone in the body called incretin that tells the body to release insulin after a person eats. By blocking this normal occurrence, insulin levels are increased in patients with diabetes who have trouble producing enough insulin or whose bodies cannot use it effectively. By blocking the incretin hormone, DPP-4 drugs increase insulin levels in patients with diabetes who have trouble producing insulin or whose bodies can’t use it effectively. 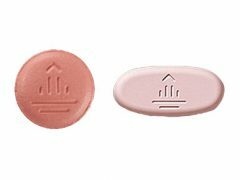 Tradjenta was approved by the U.S. Food and Drug Administration (FDA) in 2011, with Jentadueto following with FDA approval in 2012. However, after entering the market, cases of metformin-associated lactic acidosis, resulting in low blood pressure, reduced body temperature, a slow heart rate and sometimes death, were linked to patients’ use of drugs containing metformin, such as Jentadueto. This necessitated the addition of a black box warning to advise patients of this potential associated with taking the diabetes medication. Then in 2013, the FDA began a review of unpublished findings regarding a potential increase in patients’ risk for pancreatitis (inflammation of the pancreas), which results when digestive enzymes start to digest the pancreas itself, due to the use of incretin mimetics. Pancreatitis is a serious condition that requires emergency medical treatment and can lead to permanent damage. 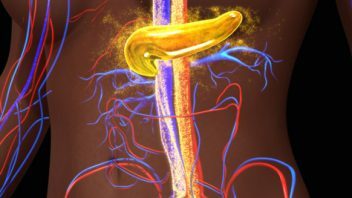 As a part of its review, the FDA also began investigating the potential for precancerous cell changes that can develop further into pancreatic cancer, also linked to the use of drugs such as Tradjenta and Jentadueto. Diabetes is a group of diseases that are considered chronic (lifelong) in nature and result in high blood glucose, more commonly known as high blood sugar, or clinically known as hyperglycemia. It’s a disorder of metabolism, or the way the body uses digested food for energy, in that the body cannot regulate the amount of sugar in the blood. Diabetes is a disorder of the metabolism, or the way the body uses digested food for energy. In 2014, the National Institutes of Health (NIH) reported that 29.1 million people in the U.S., or just over 9 percent of the population, have diabetes. However, 25 percent of individuals are not aware they have the disease. Another approximately 86 million Americans 20 years of age and older have prediabetes, meaning they have higher than normal blood sugar levels but not high enough yet to be considered Type 2 diabetes. Over time, having high levels of blood sugar can cause serious health complications, such as heart disease, stroke, nerve damage, loss of limbs, eye problems and kidney disease. Insulin is a hormone produced in the pancreas (a glandular organ in the digestive and endocrine systems) by special cells called beta cells that assist in the absorption of glucose into cells throughout the body for energy. When the body fails to make enough insulin, cannot use it effectively, or both, diabetes develops. In Type 1 diabetes, the body doesn’t make enough insulin because the beta cells stop working, necessitating daily injections of insulin. This condition can occur at any age but is most often diagnosed in children, teens and young adults. The exact cause of Type 1 diabetes is unknown. In the more common type of diabetes, referred to as Type 2 diabetes, the body doesn’t make enough insulin, is resistant to insulin or does not use it effectively. Without an adequate supply of insulin or the ability to use it properly, glucose remains in the blood. This condition most often occurs in adulthood, but due to high obesity rates, children and teens are becoming more at risk as well. Some people with Type 2 diabetes are unaware they even have it. Most people diagnosed with Type 2 diabetes are overweight or obese, but thin people can also develop the disease, more commonly in late adulthood. Risk factors include family history, low activity levels, poor diet and excess body fat around the waist. Many people with Type 2 diabetes have no symptoms in the beginning of the disease. Symptoms may take years to present due to the slow development of the condition. Early symptoms of the disease are a result of the patient’s high levels of glucose in the blood. As the disease progresses, and without proper treatment and management, diabetes can lead to serious health problems that all have their own additional accompanying symptoms. 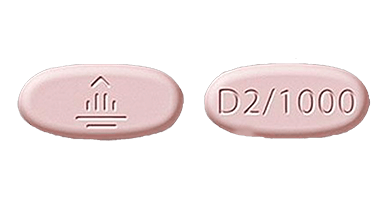 Linagliptin belongs to a class of medications called dipeptidyl peptidase-4 (DPP-4) inhibitors. It is marketed under the brand name Tradjenta. Other combination drugs containing linagliptin as well as other active ingredients include Glyxambi (linagliptin and empagliflozin) and Jentadueto (linagliptin and metformin). This medication is used along with diet and exercise, and sometimes in conjunction with other medications, to lower blood sugar levels in patients with Type 2 diabetes (a condition in which blood sugar is too high because the body does not produce or use insulin normally). It works by increasing certain natural substances present in the body that lower blood sugar when it is high. Linagliptin works by increasing certain natural substances present in the body that lower blood sugar when it is high. Linagliptin comes in a tablet form taken by mouth. It helps to control the condition of high blood sugar but does not cure diabetes. It may also be prescribed for other uses. However, it is not used to treat Type 1 diabetes (a condition in which the body does not produce insulin and therefore, cannot control the amount of sugar in the blood) or diabetic ketoacidosis (a serious condition that may develop if high blood sugar is not treated). Additionally, linagliptin used in combination with insulin for the treatment of diabetes has not yet been studied. 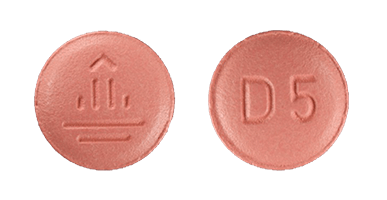 Tradjenta (linagliptin) comes in a 5-milligram tablet form that is taken by mouth once daily. The tablets are light red, round and film-coated. When used in combination with insulin releasing pills (secretagogues) or with insulin, a lower dose of these accompanying medications may be required to reduce the risk of low blood sugar, or hypoglycemia. Jentadueto (linagliptin and metformin) dosages should be individualized for effectiveness and tolerability, but should not exceed the maximum recommended combined dose of 2.5 milligrams of linagliptin and 1,000 milligrams metformin hydrochloride twice daily. In patients currently not treated with metformin, dosing should be started at 2.5 milligrams linagliptin and 500 milligrams metformin hydrochloride taken twice daily. Doses of Jentadueto should be taken with meals and any increases in dosing should be gradual to reduce the gastrointestinal (GI) side effects associated with the use of metformin. Caution in dosing and regular renal (pertaining to the kidney) function assessments should be carried out in patients with renal impairment. Jentadueto is not recommended in patients with an estimated glomerular filtration rate, or eGFR (measure of kidney functioning) below 30 mL/min. Additionally, certain patients undergoing contrast dye imaging procedures should discontinue use of Jentadueto prior to, or at the time of, testing. The use of diabetic medications containing linagliptin can result in changes to a patient’s blood sugar, including low blood sugar (or hypoglycemia). This side effect is especially apparent when taking Tradjenta or Jentadueto with another medicine that can cause low blood sugar, such as insulin. Other serious side effects of Jentadueto include lactic acidosis (abnormally high levels of lactic acid in the blood) and inflammation of the pancreas. Inflammation of the pancreas, or pancreatitis, can also result from taking Tradjenta. This condition can be severe and even result in death. Severe stomach pain that will not go away, and that possibly radiates through the patient’s back, may be a symptom of pancreatitis. The pain can be experienced with or without vomiting. The prescription diabetic medication Jentadueto includes a black box warning referencing post-marketing reports of lactic acidosis (a condition that occurs when too much acid builds up in the blood due to the presence of excess lactic acid resulting in an excessively low pH) associated with the use of metformin. The warning advises patients to discontinue use of Jentadueto and seek immediate medical attention, preferably hemodialysis (or kidney dialysis to purify the blood in a person whose kidneys are not functioning properly), if lactic acidosis is suspected to have stemmed from the use of metformin or metformin-containing products. According to the label, “the onset of metformin-associated lactic acidosis is often subtle.” Some “nonspecific symptoms” of the condition include a feeling of general discomfort or illness, muscle pain, respiratory problems, drowsiness and abdominal pain. In 2016, the U.S. Food and Drug Administration (FDA) mandated label changes for all diabetes medicines containing metformin. These changes were made to expand metformin’s use in certain patients with reduced kidney function. While prior labeling “strongly” recommended against the use of metformin in patients whose kidneys do not work properly due to the increased risk of lactic acidosis, the FDA was asked to review studies regarding its safer use in patients with mild to moderate kidney impairment. The FDA’s review of various published studies concluded that metformin can be used safely in patients with mild kidney function impairment and in some patients with moderate kidney function impairment. The FDA also recommended that the measure of kidney function used to determine whether patients can safely receive metformin be changed from a single laboratory parameter, such as blood creatinine concentrations (or levels of creatinine present in the blood), to one that “provides a better estimate of kidney function in patients with kidney disease,” such as the glomerular filtration rate estimating equation, or eGFR for short. The eGFR measurement describes the flow rate of filtered fluid through the kidney. Drug interactions occur when a substance (often another drug) affects the activity of another drug when both are taken together. When taking Jentadueto or Tradjenta, patients should do research and talk to their doctors before taking other medications. Certain drugs taken simultaneously with linagliptin containing medications may increase a patient’s risk for side effects and other adverse reactions. Carbonic anhydrase inhibitors (used for the treatment of glaucoma), drugs that reduce metformin clearance (such as ranolazine and cimetidine) and alcohol taken with Jentadueto can all increase a patient’s risk for acquiring lactic acidosis. Rifampin, an antibiotic used to treat several different types of bacterial infections, can decrease linagliptin exposure when taken concurrently with Tradjenta or Jentadueto, thereby reducing the effectiveness of the diabetes maintenance drug. When taken with insulin or an insulin secretagogue (a pill to increase insulin secretion by the beta cells in the pancreas, such as sulfonylurea), patients may need to lower doses of the insulin-containing medications in order to reduce the risk of hypoglycemia. Drugs affecting glycemic (blood sugar) control – Certain drugs can cause high blood sugar, leading to the loss of glycemic control. When taking these drugs along with Jentadueto, patients should be regularly monitored to maintain control over their blood sugar levels. A contraindication is a condition that makes a particular treatment or procedure potentially inadvisable or improper due to the harm that could result to the patient. Limited data exists as to the safety or associated risks with the use of Tradjenta and Jentadueto during pregnancy. However, there are risks to a mother and fetus associated with poorly controlled diabetes in pregnancy including birth defects that can occur during the early weeks of development, sometimes before a woman even knows she’s pregnant, according to the National Institutes of Health (NIH). While there is no information regarding the presence of linagliptin in human milk, the effects on breastfed infants or the effects on milk production, linagliptin was found in studies to be present in rat milk. Legal experts believe that if the FDA’s review results in confirmation that incretin mimetics, such as Tradjenta and Jentadueto, lead to pancreatic cancer, or if more reports surface linking the diabetes drugs to pancreatitis or pancreatic cancer, it is likely that Eli Lilly and Boehringer Ingelheim will be facing lawsuits from injured patients and/or their family members. 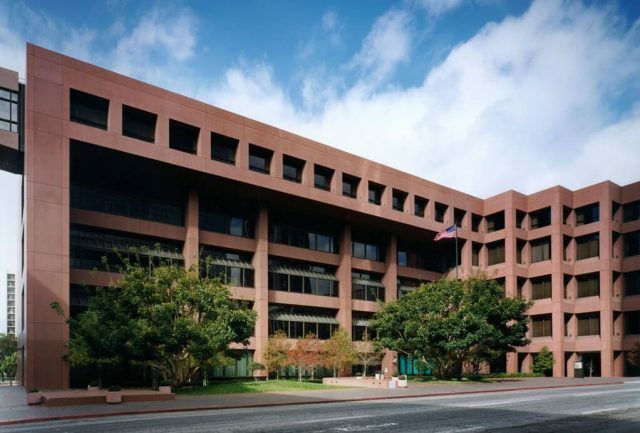 Manufacturers of medications within the same class of anti-diabetic drugs, including Januvia, Victoza, Janumet and Byetta, are already facing lawsuits, with a multidistrict litigation (MDL) formed in August 2013 in the Southern District of California, to centralize 53 actions (at that time) pending in seven varying districts across the United States. These cases are consolidated as actions filed under products liability law. This type of law refers to the liability and duty of the manufacturer and sellers of a product to ensure that it is safe and “free from any unexpected dangers or defects,” as defined by Thomson Reuters. Any defects that are later determined and result in injury to a plaintiff can be potential grounds for a products liability suit. According to Cornell University Law School Legal Information Institute (LII), products liability is generally considered a “strict liability offense,” meaning claims are not dependent upon the “degree of carefulness by the defendant.” In other words, it typically doesn’t matter if the manufacturer took “great care” in the making of the product; if a defect is found and it causes harm, the defendant can be liable. A possible claim for patients injured by Tradjenta or Jentadueto treatments would be a defect in the companies’ warnings where the use of the diabetes drugs may be found to result in pancreatic cancer. Manufacturers have a duty to warn about these potential dangers so patients can make informed decisions prior to taking various medications, and the failure to do so can result in lawsuits.